I am Dr. Teresa Bousquet, president of AARC. 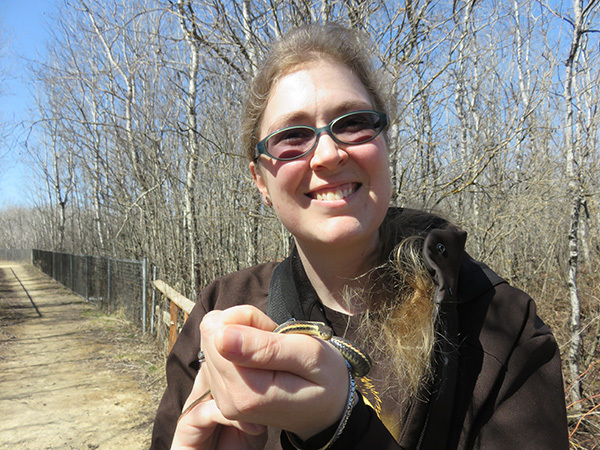 I am a small and exotic animal veterinarian, practicing at Park Veterinary Centre in Sherwood Park. My passion for herps came to me late in life, after I had graduated from vet school. Every other exotics practice I had ever been to only saw a smattering of reptiles and amphibians, but Park saw almost as many reptiles and amphibians as they did exotic companion mammals! Since our education on herps in school is very limited, I decided to dive in and study everything I could get my hands on, from magazines, to journals, to textbooks, to online vet courses, to lectures at conferences. The more I learned, the more I loved it! Then Ian Kanda, former president of the Edmonton Reptile and Amphibian Society, and founding member of AARC came to work at my clinic. We became fast friends, and a great team, constantly working to raise the bar and offer the most up-to-date care we could for reptiles and amphibians. He recruited me to join AARC, and the rest is history. 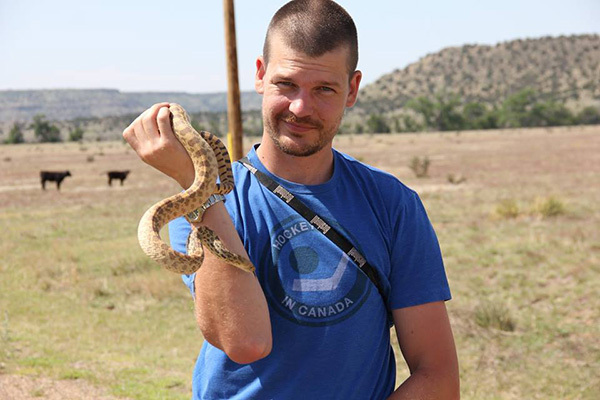 Ian co-founded the Alberta Amphibian and Reptile Conservancy to create a conduit for people from all walks of life to be able to participate and contribute to the conservation of Alberta's herpetofauna. In 2014, he completed a population census of red-sided garter snakes and counted 2,453 snakes at the Eden Garter Snake Den to document the species decline in the area. He continues to work with AARC and enjoys seeing how far it has come since its inception. Originally from Edmonton, Alberta, Ian earned a Diploma of Animal Health Technology from Northern Alberta Institute of Technology in 2000. He is currently a veterinary technician in the zoological medicine service at Oklahoma State's Veterinary Medical Teaching Hospital. His research interests include blood cell morphology and parasitology of exotic pets and wildlife, wildlife conservation, diseases of wildlife, Inline image 1advancements in captive husbandry and in clinical procedures for minute patients. Favorite Quote: "When conserving endangered species, you don't have an animal problem, you have a people problem." - Bob Johnson, Toronto Zoo at the Amphibian Conservation Academy. The Treasurer shall receive all monies paid to the society and be responsible for the deposit of same in whatever Bank, Trust Company, Credit Union or Treasury Branch the Board may order. He/she shall properly account for the funds of the society and keep such books as may be directed. He/she shall present a full detailed account of reciepts and disperments to the Board whenever requested and shall prepare for submission to the Annual Meeting a statement duly audited of the financial position of the society and submit a copy of the same to the Secretary for the records of the society. The Office of the Secretary and Treasurer may be filled by one person if any annual meeting for the election of officers shall so decide. I am Alyssa Metro, your Treasurer / Secretary. I have always had an interest in animals (primarily herps and inverts) for as long as I can remember. I have a diploma in Wildlife and Fisheries Conservation and BSc. in Conservation Biology. I have done some trips to Southern Alberta and Arizona to see wild herps, as well as other wildlife related adventuring around Southeast Asia and Central America. My top species I would still like to find in Alberta are Spadefoot Toads and the Western Hognose. Most of my time is spent birding/ herping or in my "reptile room" taking care of my exotics. It shall be the duty of the secretary to attend all meetings of the society and of the Board, and to keep accurate minutes of the same. He/she shall have charge of the Seal of the society, which whenever used shall be authenticated by the signature of the Secretary, his/her duties shall be discharged by such officer as may be appointed by the Board. The Secretary shall have charge of all the correspondance of the society, and be under the direction of the President and the Board. The Secretary shall also keep a record of all the members of the society, and their addresses, send all noticed of the various meetings as required, and collect and receive annual dues or assessments levied by the society. Such monies shall be promptly turned over to the Treasurer for deposit in a Bank, Trust Company, Credit Union, or Treasury Branch as required. Cheryl joined the AARC back in 2015 due to her fondness of all things that creep and crawl. As a child she spent many hours hunting for frogs, tadpoles and snakes, but unlike her peers she never grew out of searching for critters. Nowadays Cheryl spends most of her time pursuing insects and butterflies, but she will always have a special appreciation for reptiles and amphibians. The Education Coordinator will be responsible for organizing and chairing meetings of the Education Committee. The goal of said committee will be to develop education and outreach programs for both members Conservancy and members of the public. The Education Coordinator shall present the activities and recommendations of the Education Committee to the Board for approval. I am Damon Waselenchuk, AARCs Conservation Coordinator. I am currently a student pursuing a BSc. in Conservation Biology. 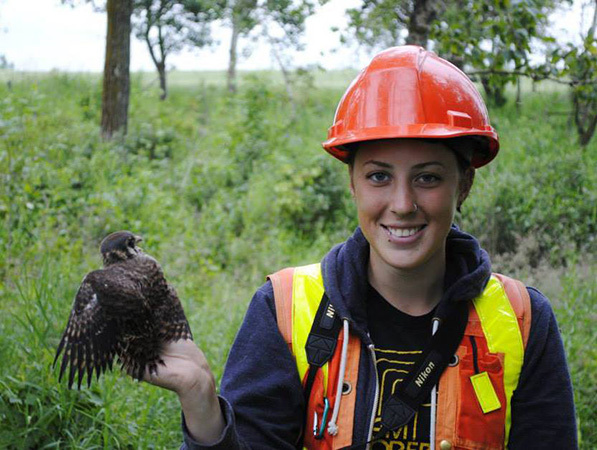 I’ve completed a Diploma in Wildlife and Fisheries Conservation and am a certified Wildlife Technician with the North American Wildlife Technology Association. I have had a passion for reptiles and amphibians since I was a little kid. Any type of work involving them brings me so much excitement. 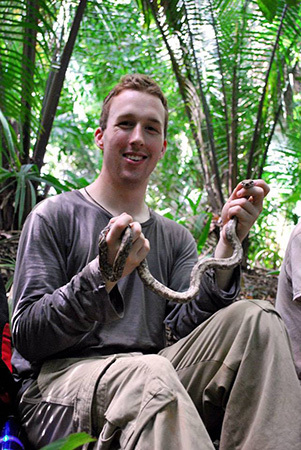 I’ve been fortunate enough to do some volunteer work with prairie rattlesnakes in Dinosaur Provincial Park, amphibians and chytrid fungus monitoring in a cloud forest in Honduras, and collect population data on endemic island boas off the northern coast of Honduras. Alberta has many amazing herps and I look forward to be able to participate in conservation initiatives to ensure their persistence in perpetuity. The Fundraising Coordinator will be responsible for organizing and chairing meetings of the Fundraising Committee. 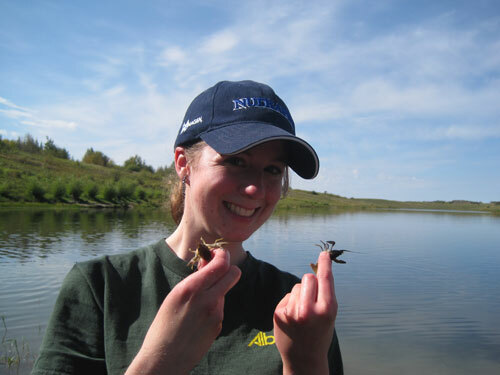 The goal of said committee will be to develop and execute fundraising drives or events, which will support the goals of the Alberta Amphibian and Reptile Conservancy, and it's committees. As much as possible, these fundraisers should reflect the values of AARC, and should be environmentally ethical and sustainable. The Fundraising Coordinator shall present the activities and recommendations of the Fundraising Committee to the Board for approval. I am Svetlana Kuzmina, former researcher for the Russian Academy of Science (Moscow), Royal Holloway, University of London (UK) and the University of Alberta. I am now a freelance palaeoentomologist. During my active scientific career, I studied fossilized insects (mostly beetles, up to 1 million years old) from the permafrost in North-eastern Siberia, Alaska, and the Yukon. Recently, this study has been limited, due to the shortage of funding, and I am looking for new opportunities to stay close to science. Small animals, such as insects, amphibians, and reptiles, have attracted me since my early childhood years. I always share my home with a couple caddis fly larvae, ground beetles, aquatic frogs, toads, land snails, garter snakes, etc. My first experience with field science happened in high school. It was a Biology school based at Moscow University, with summer practicums at a research station. Among other duties, I helped counting frogs using different sorts of pit traps. During my own fieldwork in the North, I collected Siberian salamanders for colleagues who studied their unique ability to resist cold. 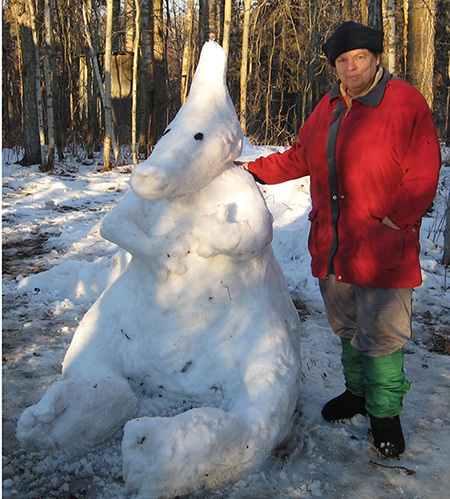 Here in Canada, I enjoy my amphibian pets, and run an art studio "Nature Art"